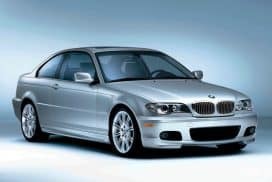 How do BMW Laserlight headlights work? Laserlight headlights do not directly project light the road as one may think, given the name. Instead, the headlight housing directs three monochromatic blue laser light beams through a series of mirrors within the headlight assembly. Next, the light is directed towards a lens filled with yellow phosphorus. The blue laser light reacts to the yellow phosphorus filled lens and generates an immensely bright white light directed out of the headlight. See the image below for a cutout of this setup to get a better idea of how this technology works. The light generated by the laser beam through the phosphorus lens is up to 10 times brighter than the light generated by LED headlights. 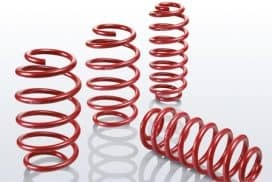 The components for laser technology is very compact allowing for the overall size of the housing to be small, this allows for an increase in vehicle aerodynamics. Increasing road visibility through laser technology improves driver safety. An integrated infrared camera system works in conjunction with the Laserlight system to provide the following benefits. The camera system can detect oncoming traffic and automatically dim the headlights, hands-free, with no driver input. If the camera system detects obstacles in the road such as an animal or obstruction, the headlights can focus the beam directly on the object up to 300 feet away. BMW recognizes that since Laserlight technology is substantially bright, it may be a distraction in an urban environment. Because of this, the Laserlight technology is only allowed at speeds above 37mph. Is it safe to stare directly into headlights that project laser light? Yes. What is unsafe, however, is staring directly into a focused laser beam. Everyone can relate to the red laser pointers used in classrooms, this focused laser beam can cause retinal damage. 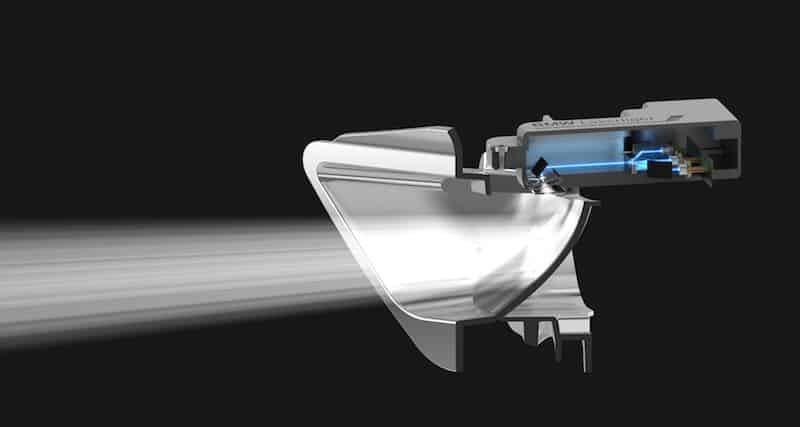 The blue lasers inside the BMW Laserlight lenses are powerfull enough to actually burn objects. This concentrated light is not visible as it is covered in the housing. Because the focused laser light is diffused through a phosphorous lens, the dangerous threat completely goes away making it safe to look. 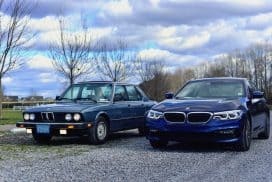 BMW has gone as far as to think about front-end accidents where focused laser beams could emit out of a broken headlight housing and cause damage to onlookers. In the case of an accident, the headlights automatically shut down to prevent this threat. How can you determine which models feature BMW Laserlight technology? 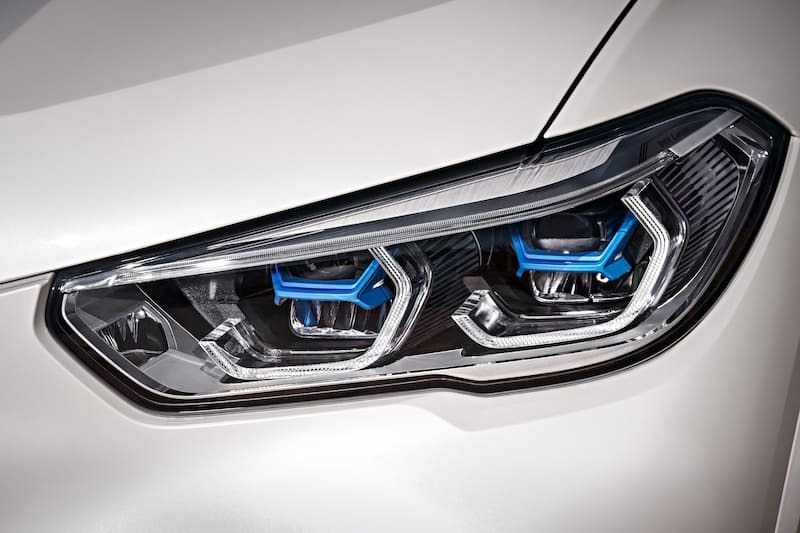 BMW Laserlight headlights feature thin blue strips along the inside the headlight housing (see picture below). Also, some models such as the X5 have blue strips across the lens (see picture below). What are the advantages of Laserlight technology? Up to 10 times brighter light than traditional Xenon or LED headlights. Provides visibility nearly half a mile down the road. Uses GPS to anticipate turns and light up the road around corners. 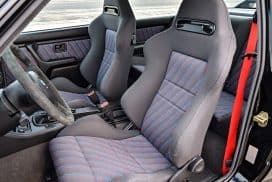 The color of the light projected is near as warm as daylight, so it is natural to the eye as if you are driving in the day. Less exhausting on the driver reducing fatigue and strain with near daylight brightness. What are the disadvantages of Laserlight headlights? Cost, Laserlights are an $11,000 (9,500 Euros) upgrade on the i8 in 2014. It only works with the vehicles high beams, the low beams feature LED lights. 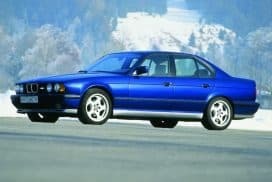 What models are BMW Laserlight headlights found on? 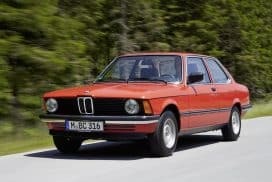 As the BMW Laserlight technology becomes perfected it will roll out to the high end models and slowly trickle down to the entry level models throughut the years. Additionally, as government regulations become solidified the technology will become more abundant. Currently, the Euro model i8, the new 8 series and the 2019 X5 feature BMW laserlight technology as a factory option. 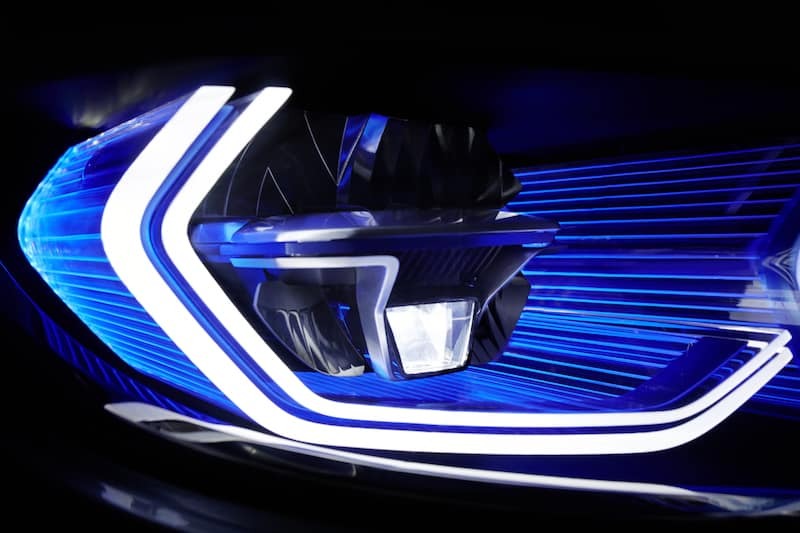 Learn more about BMW Laserlight technology through the video below.